The use of neutral color palettes for contemporary interiors often leads to another set of unique challenges where you are left searching for ways that you can give a room a vivacious, unique personality. 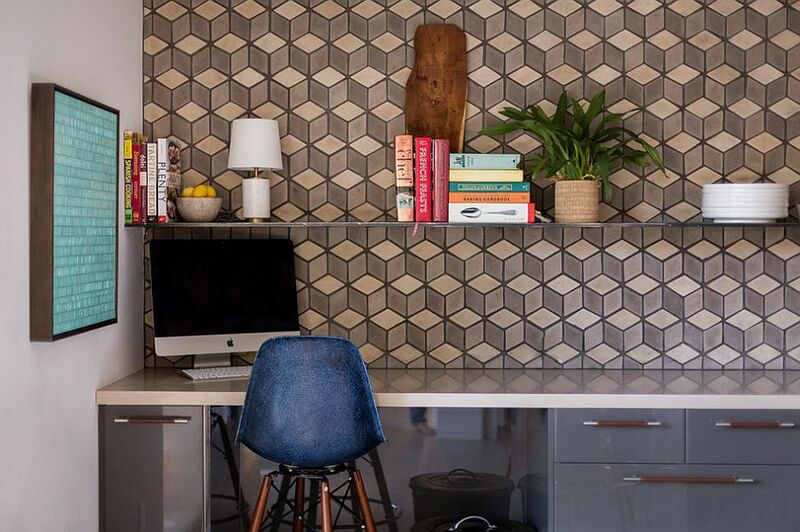 It is this search for new ways to enliven modern interiors that has seen a resurgence in the use of gorgeous geometric tile. 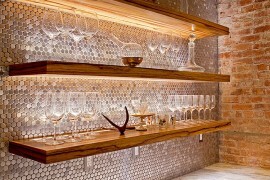 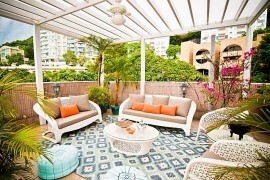 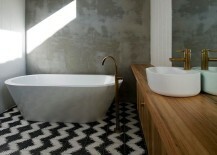 Going beyond the kitchen and bathrooms, geometric tiles add pattern in a classy and understated fashion. 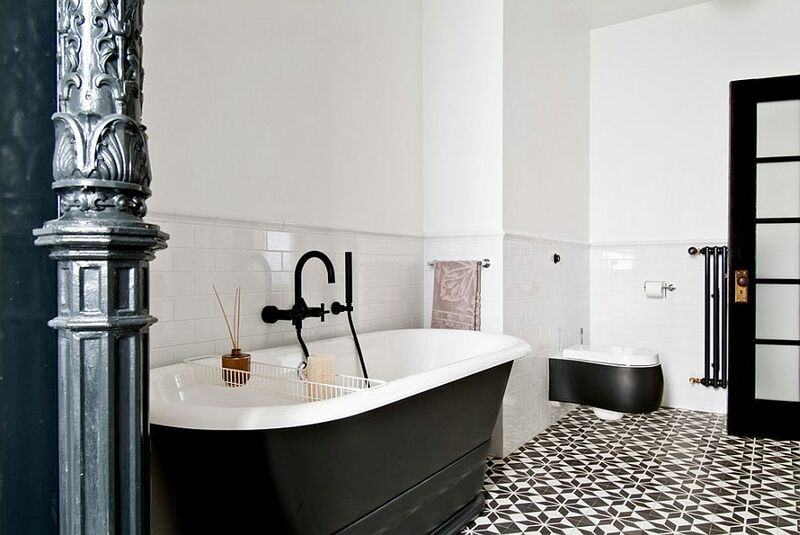 While some rely on vivacious color, others stick to good old ‘black and white’ to get the job done! 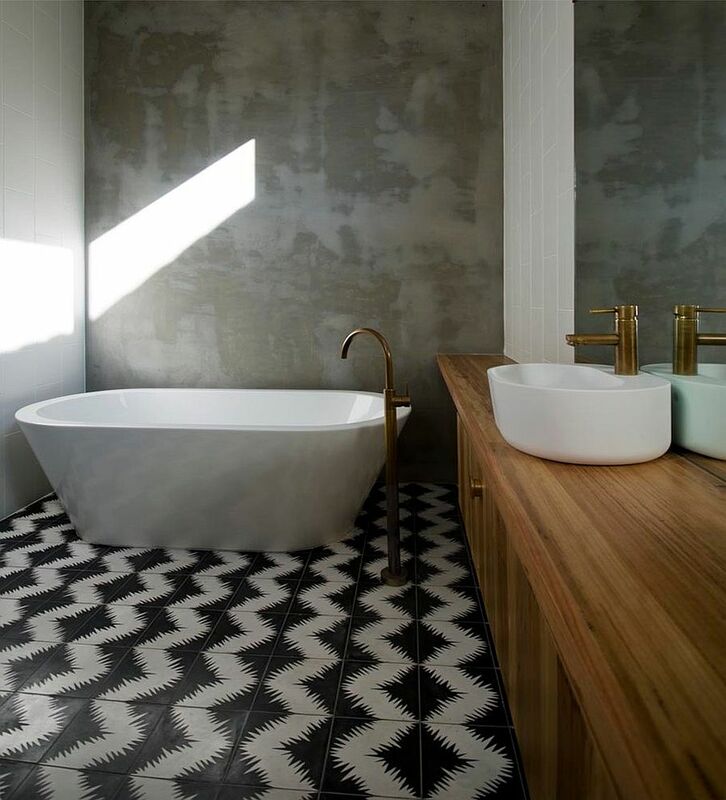 Geometric tiles come in a wide range of patterns, finishes and hues, and you have an array of delightful materials to pick from. 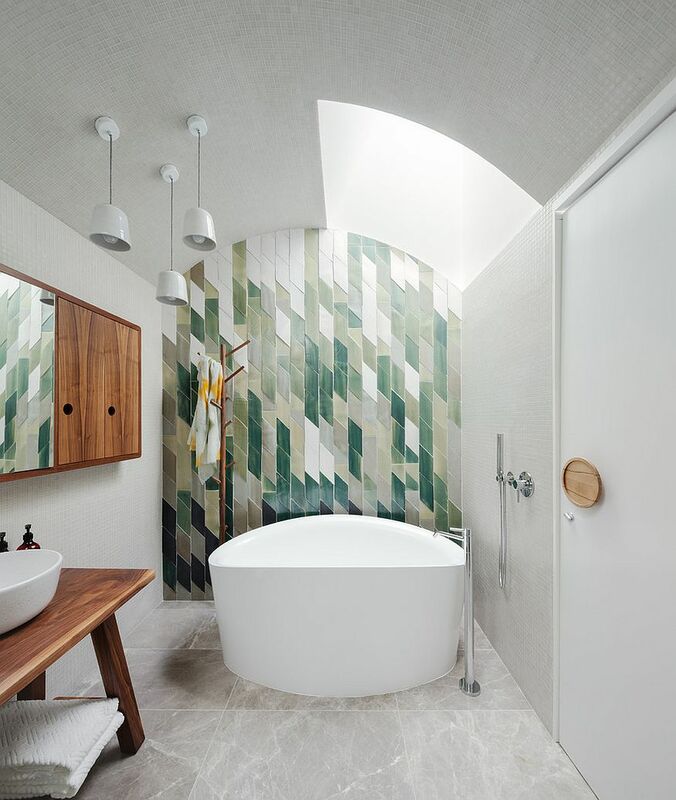 The 25 exquisite interiors on showcase today not only will inspire you to explore the world of geometric tiles, but will also display their diversity. 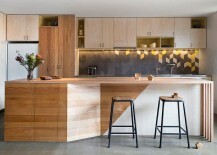 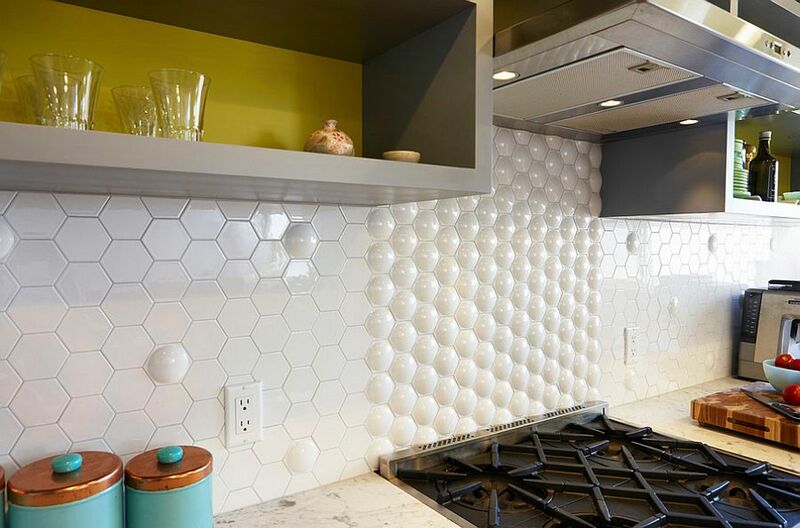 The kitchen is definitely a hotspot for tiles, and if you are looking to swap out that boring old backsplash for a new, snazzier pattern, geometric tiles might be the way forward. 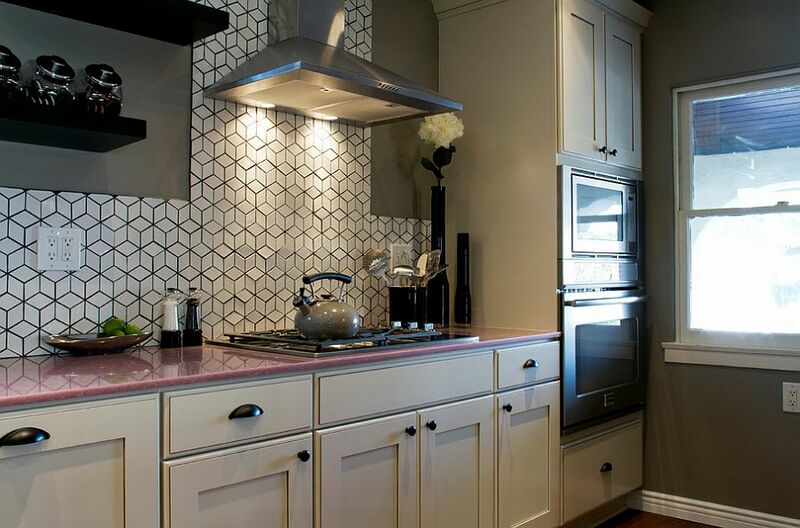 You need not create an extensive backsplash with these vibrant tiles, and they often work well when used in kitchens that are draped in a neutral color scheme. 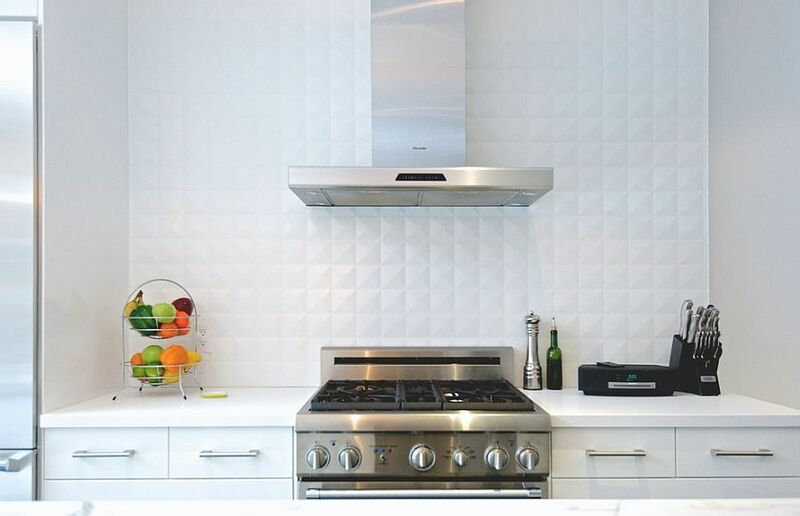 This lets the backsplash standout visually, and with some of the latest 3D ceramic tiles, you can literally add another dimension to the kitchen backsplash! 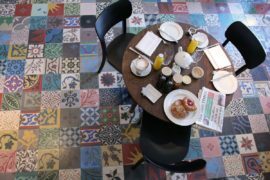 For those who are willing to try out geometric tiles in a more extensive fashion, the kitchen floor is the next best way forward. 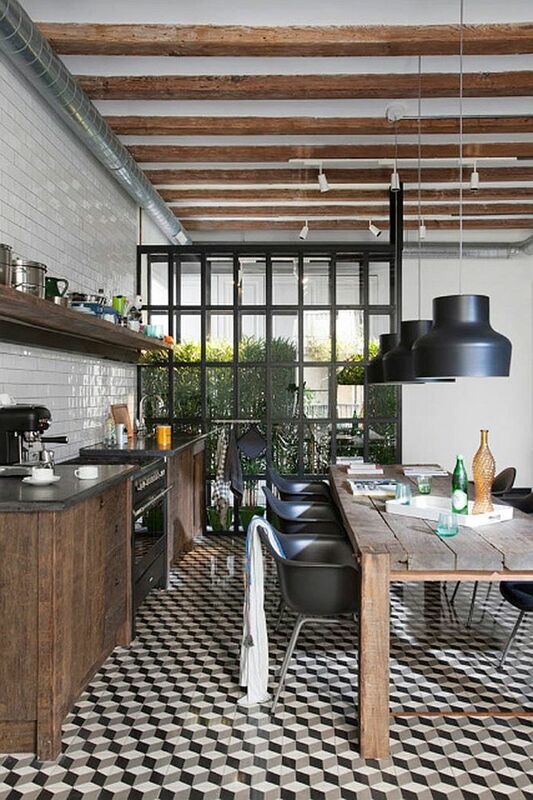 This is a look that works well in eclectic, industrial and vintage kitchens and can seem a touch overwhelming in contemporary spaces. 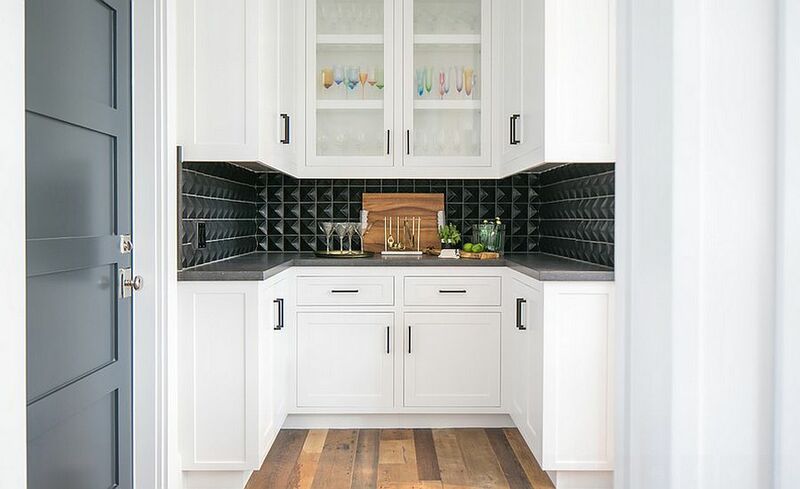 Of course, geometric tiles with subtle patterns that blend into the color palette of the room can be used to replace your traditional kitchen floor when done right. 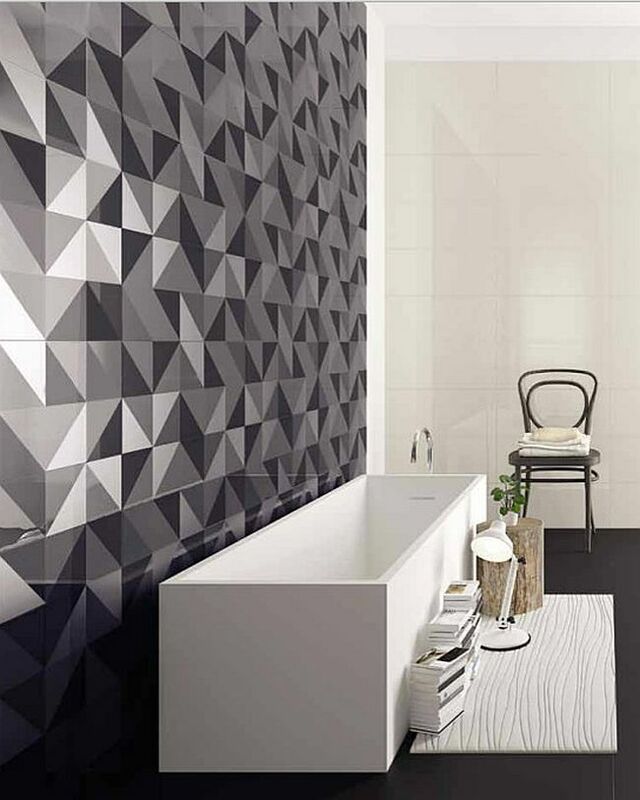 Adding geometric tiles can turn even the most mundane and outdated bathroom into a stunning masterpiece that will leave you mesmerized. 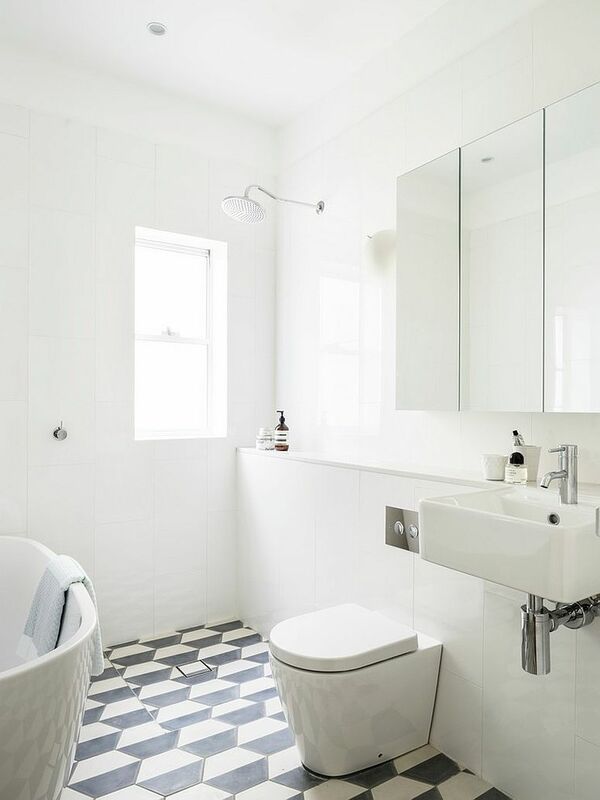 Unlike in the case of the kitchen, the number of options on offer in the bathroom is far greater, and you can create anything ranging from a small feature wall with gorgeous geo tiles to an entire bathroom that uses smaller mosaic tiles to shape bold, larger patterns. 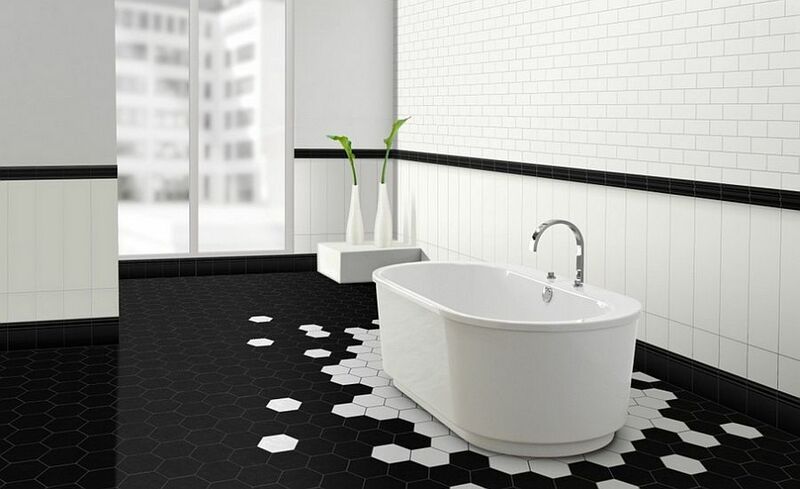 In the case of the contemporary and minimal bathroom, it is often geo tiles in black and white or shades of gray that are most popular. 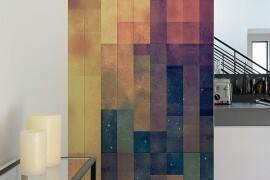 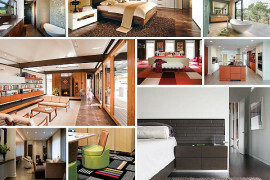 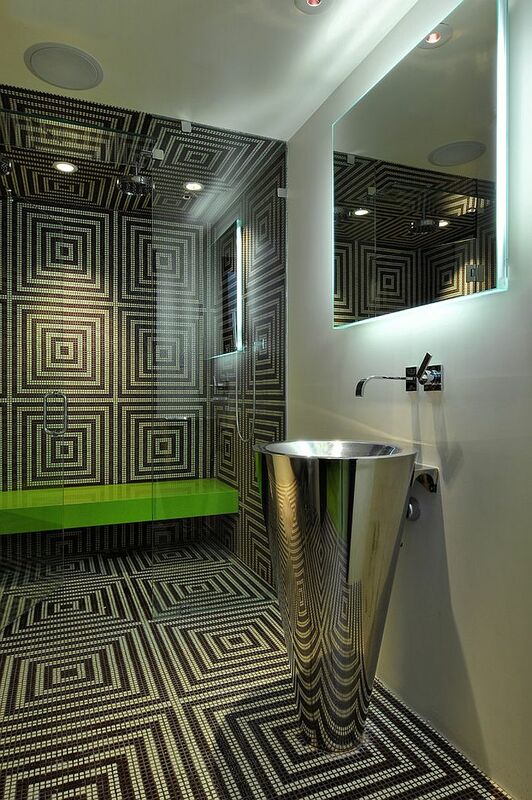 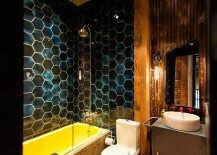 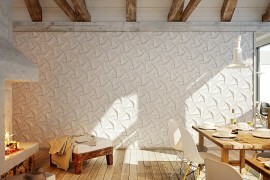 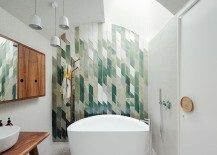 They bring trendy patterning without actually taking away from the serenity of the bathroom, making them an instant hit. 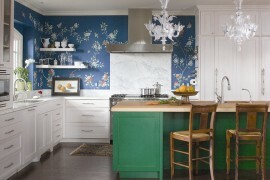 A Vibrant Splash of Color! 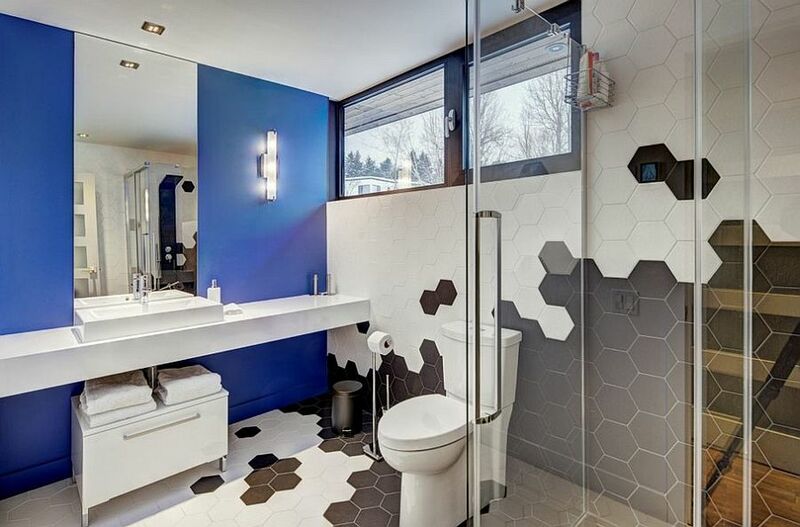 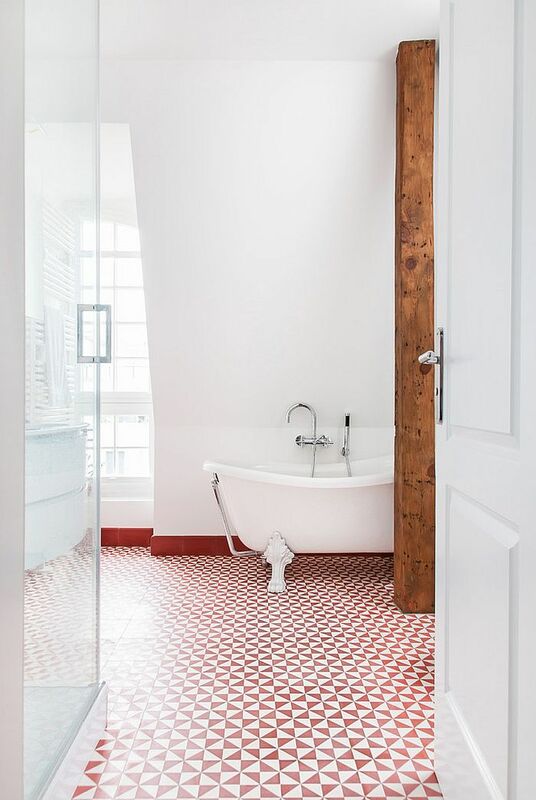 Geometric tiles are not about pattern alone, and those who are a bit more adventurous with their design choices can give the colorful versions a hearty go. 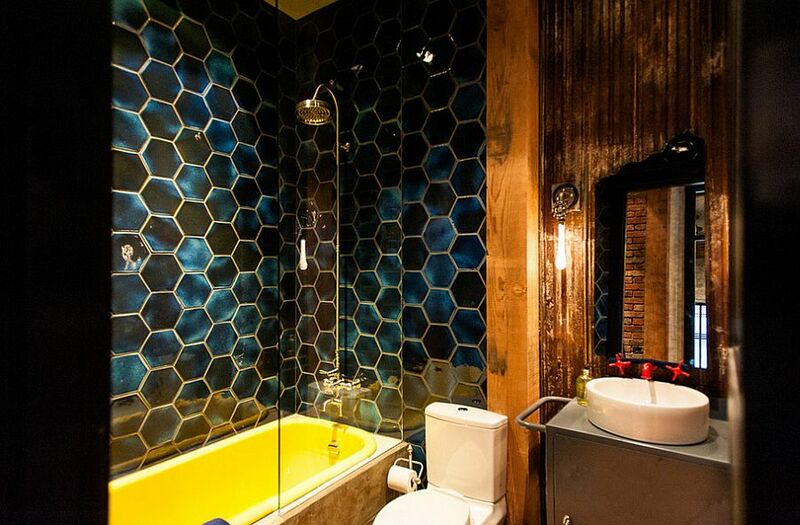 Combining smaller tiles of different hues to form larger patterns is a perennial hit, but one can also use bold hexagonal tiles in brilliant, dark colors or shiny penny tiles with a metallic glint to usher in dazzling visual contrast. 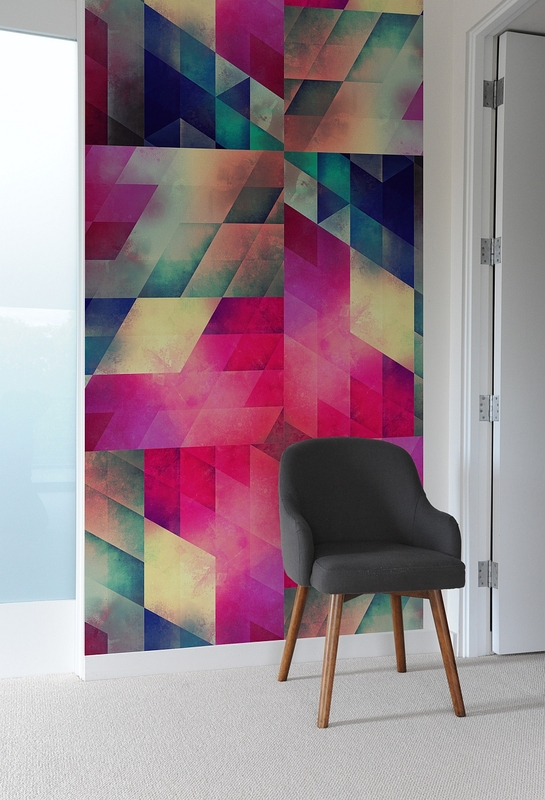 From bold red and brilliant blue to merry yellow and pleasing green, the choices will leave you star-struck with their sheer audacity and energy! 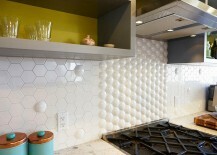 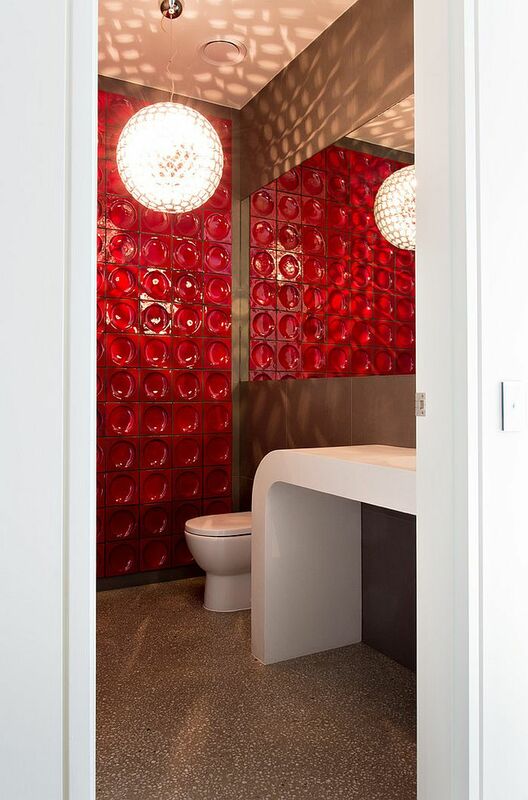 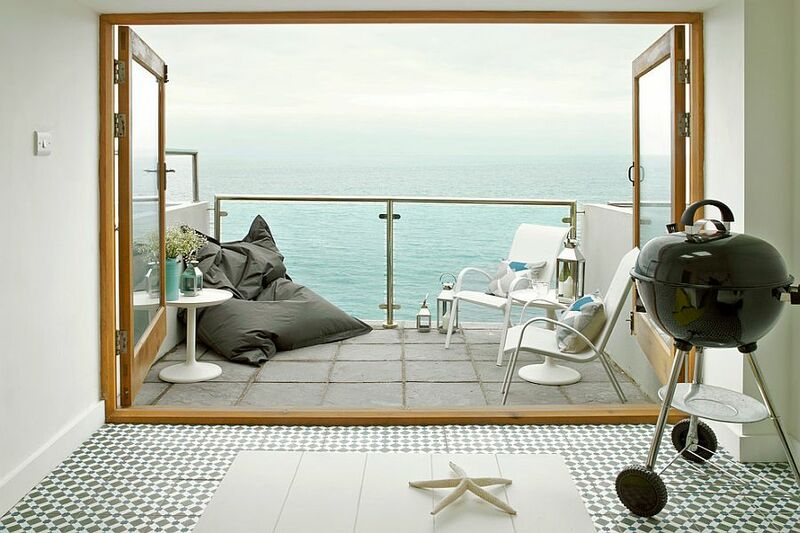 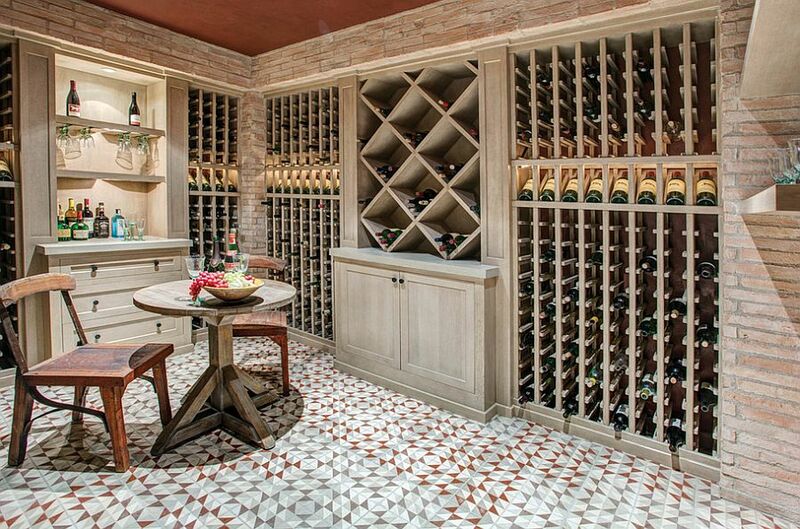 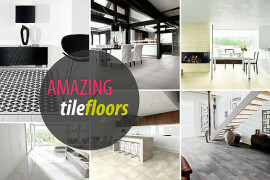 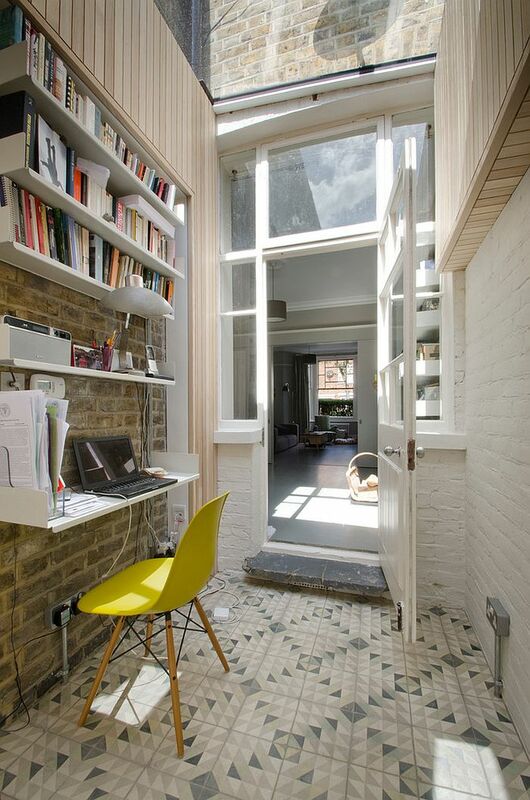 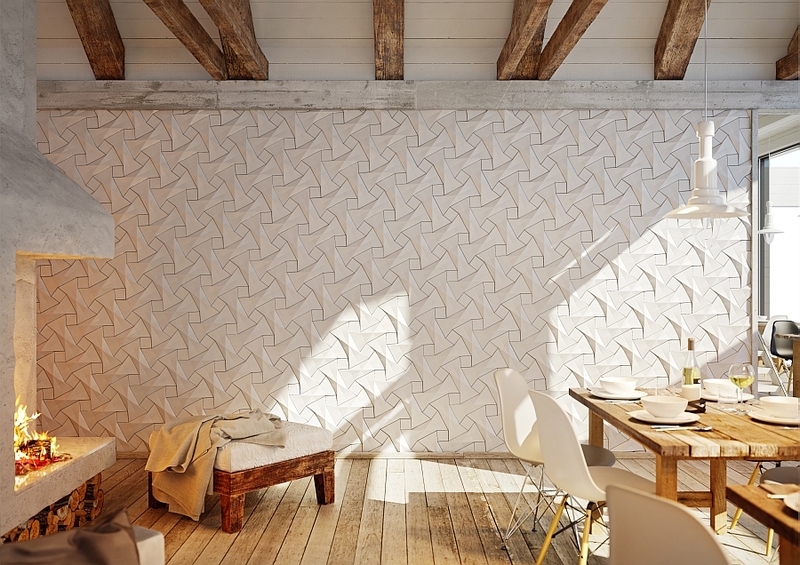 Modern geo tiles are no longer just relegated to the bathroom and the kitchen. 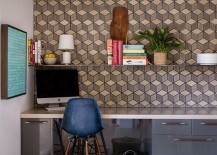 In fact, they are the perfect way to spice up the boring home office or even the old family room without resorting to another layer of paint or a decor hunt. 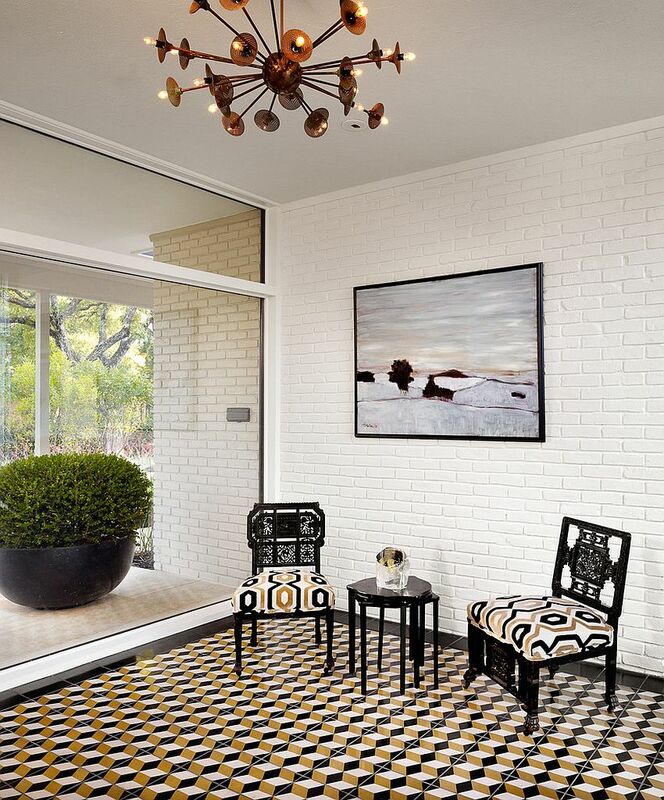 Geometric tiles can cut across the traditional barriers of themes and styles with ease, and most of them seem as much at home in an Art Deco or Midcentury setting as they do in a beach-style interior. 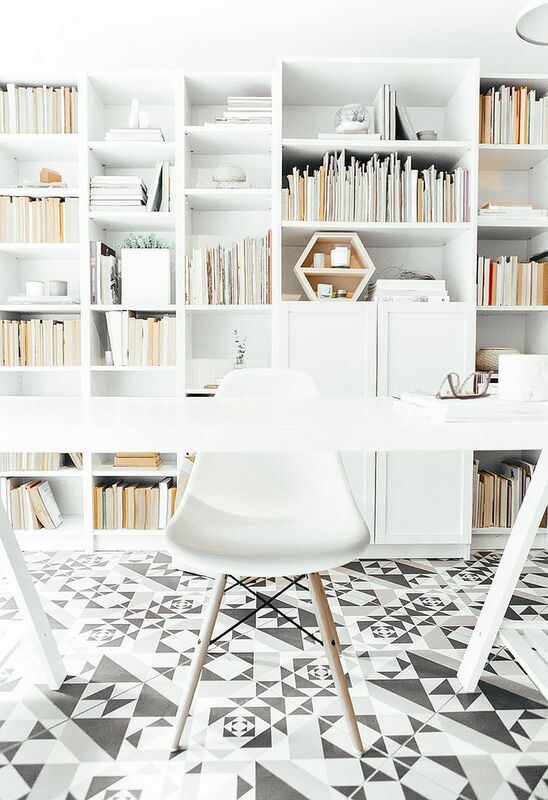 Whether you pick an understated pattern for the living room floor or one filled with colorful magnetism for the bedroom depends on your personal taste, the size of the room and the existing ambiance.